Celebrating 100th day of school! 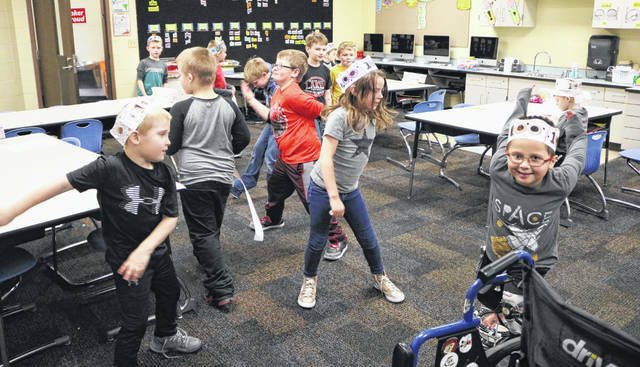 Indian Lake first graders hold a 100-second dance party as part of their 100 Days of School Bingo activities. The elementary school offered students various activities Feb. 6 and 7 to celebrate the 100th day. Activities included licking a lollipop 100 times, doing 100 workout exercises, dancing for 100 seconds and running in place for 100 seconds, writing numbers to 100, dot to dot, and naming patterns to 100.